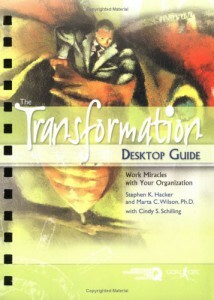 Books - Transformation Systems, Inc.
TSI employees are given the unique development opportunity to build the body of knowledge around enterprise transformation through research, writing articles, and disseminating information. The information is disseminated not only internally to educate employees, but also externally to showcase the talent of our team and build their credentials and profile. Associates are developed as experts in their respective domains and encouraged write articles to share knowledge through the TSI Possibility Press. When budgets are strained and changes are a constant on every horizon, it takes effective leaders to reinvigorate the government workplace. 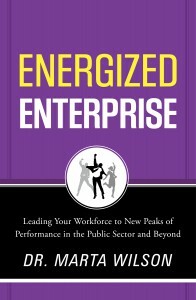 In Energized Enterprise, Dr. Marta Wilson helps public sector leaders be their best, do great things, and achieve meaningful success as they lift their workforce to new heights. Energized Enterprise shows leaders how to put both the human element and the total enterprise at the forefront of their strategy and daily action, offering fundamental principles of effective leadership, seven key leadership rules, as well as research, stories, and practical examples. Utilizing Dr. Wilson’s expertise, public sector managers will implement the very best leadership practices to optimize fit, commitment, fairness, alignment, engagement, and communication. 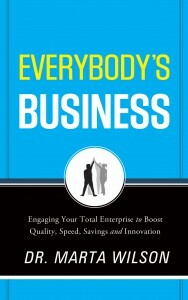 Engage your total enterprise to boost quality, speed, savings and innovation. Expand and strengthen your organizational acumen. Achieve your boldest goals. Despite the statistics, any organization can be sustained. How? By imagining the smallest step with the biggest payoff, and then choosing that one step. This primer helps leaders imagine ways to free everybody in their organization to do just that, by making it everybody’s business to know and grow the enterprise. Industrial and organizational psychologist, Dr. Marta Wilson, and her team of experts show how leaders in small businesses, large corporations, government agencies, and military organizations have found their best options by asking this recurring question: What is the smallest step with the biggest return? Wilson believes in the power of asking questions and listening—to customers, employees, suppliers, investors—as the best way to improve products or services. Leaders must initiate dialogue to discover ideas from each stakeholder’s unique vantage point. The short “Ask Yourself” section in each chapter will jump-start readers’ application of the seven dialog tools she provides. Give yourself the defining advantage in today’s virtual world competition. 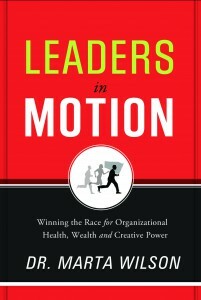 Global competitors and the advance of new technologies require leaders to be constantly in motion–transformational motion. Launch and sustain a culture of transformation. In a culture of transformation, everyone has a leadership role, testing clarity and commitment against their guiding vision so each person can contribute to achieving goals at unimagined levels through renewed focus, direction and energy. In a culture of transformation, individuals rise to the occasion, ready to step forward and seize opportunities in the relay of productivity, innovation and services. At the center of this team of individuals stands the authentic leader, who fearlessly commits to sustaining creative motion by diving deep and achieving new levels of personal mastery. 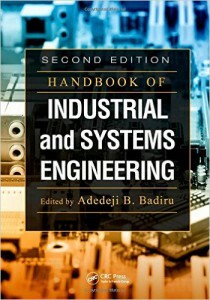 Renowned as the one-stop source for industrial and systems engineering, the handbook is a collection of chapters written by the field’s rising stars. Garry D. Coleman, Ph.D., P.E., TSI Executive Vice President, accepted the invitation to write on strategic performance measurement, offering his unique take on process, purposes and implementation. The chapter focuses on the measurement of performance with medium- to long-term consequences at the corporate, business unit, plant or department level. This book details a simplified road map to guide people who want to create results in ways that defy apparent possibility. 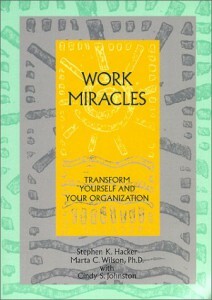 Transform your workplace and explore strategies on how to be, do, and lead conscious change. 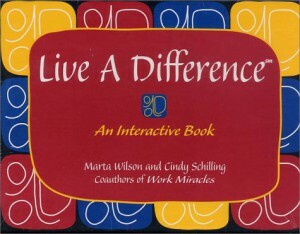 A groundbreaking, interactive book aimed at individuals and groups ready to develop clear intention and conscious commitment in all aspects of their lives. Explore how evolving consciousness can transform you and your workplace, and experiment with proven techniques for leading sustainable change.